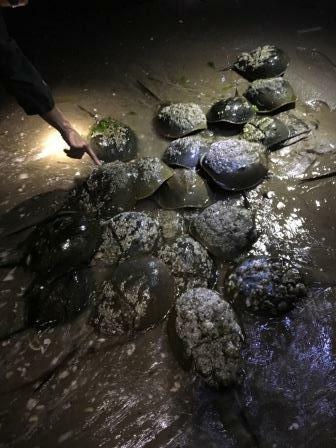 We are happy to report that 2016 was a great year for horseshoe crabs in Jamaica Bay! 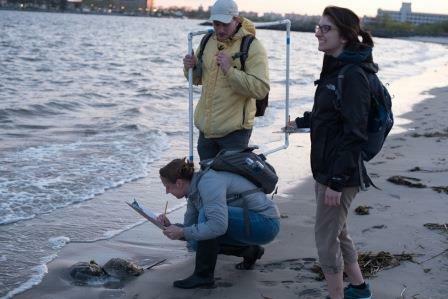 New York City Audubon once again ventured out during the new and full moons in May and June to count and tag spawning horseshoe crabs. 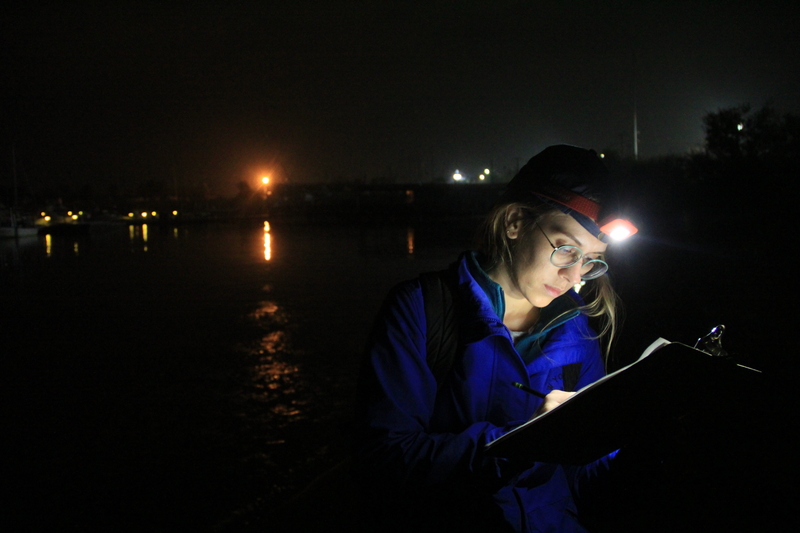 This was our eighth year collecting data on horseshoe crabs in Jamaica Bay, part of a larger project run by the New York State Department of Environmental Conservation and Cornell University Cooperative Extension. 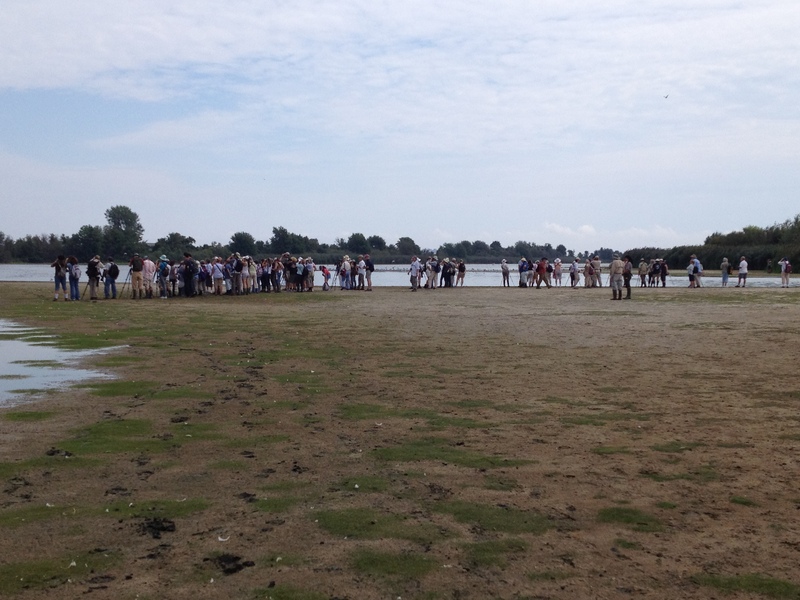 In 2015, a colder than usual spring resulted in unusually low counts at some of our beaches, such as Plumb Beach East. 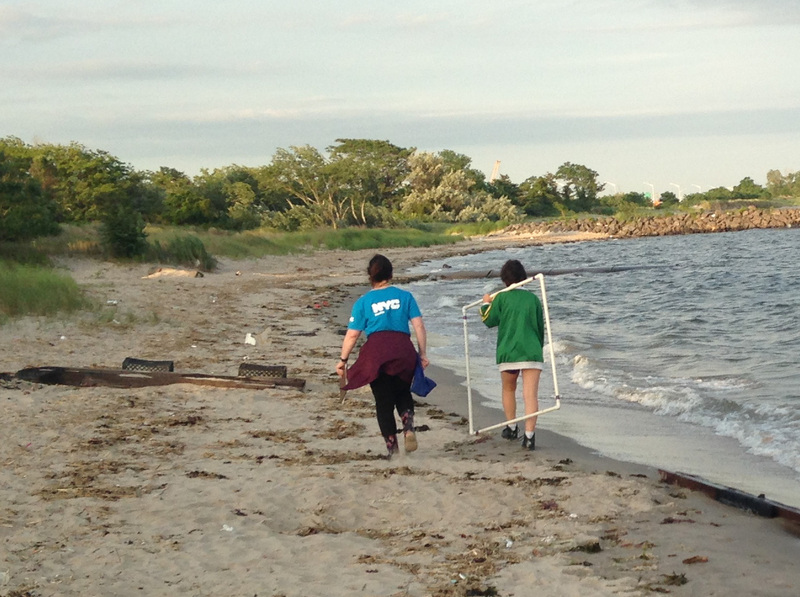 This year, however, the shores were full of mating horseshoe crabs and our counts indicate that numbers continue to stay relatively stable in Jamaica Bay. This is great news, given how important horseshoe crab eggs are to the migratory shorebirds that come through New York City each spring on their way north. 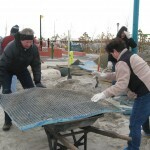 With the help of 163 volunteers (a record! 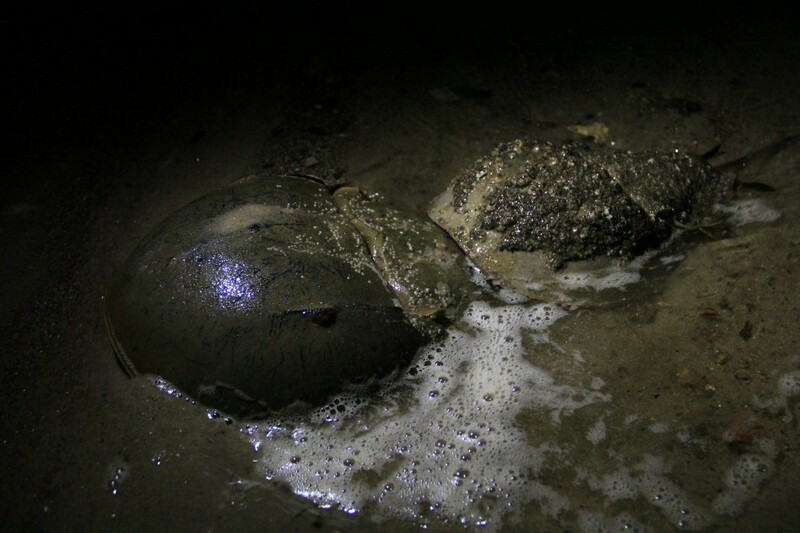 ), we were able to count spawning horseshoe crabs at four locations: Plumb Beach East, Plumb Beach West, Big Egg Marsh, and Dead Horse Bay. Spawning activity peaked during the full moon around Memorial Day this year. The high counts were 205 crabs at Plumb Beach East, 21 crabs at Plumb Beach West, and 451 crabs at Big Egg (and that was only what we counted in our quadrat samples!). 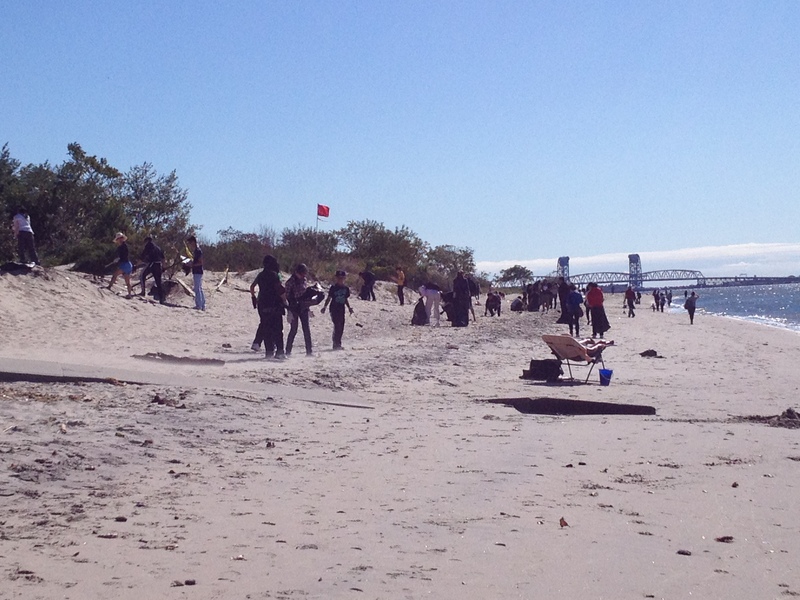 At Dead Horse Bay, where we take a total count of the horseshoe crabs, the high count was 493. We were able to tag 797 crabs this year, making a total of 4,380 horseshoe crabs tagged since we started in 2009. 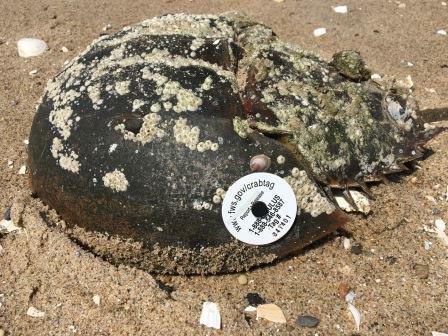 We had 78 re-sightings of tagged crabs this year – 55 of which were tagged earlier in the spawning season, indicating that many of the horseshoe crabs we see stick around at the same beach for several nights and even weeks. We also saw nine crabs we had tagged in 2015, two we had tagged in 2014, and one had tagged in 2013! 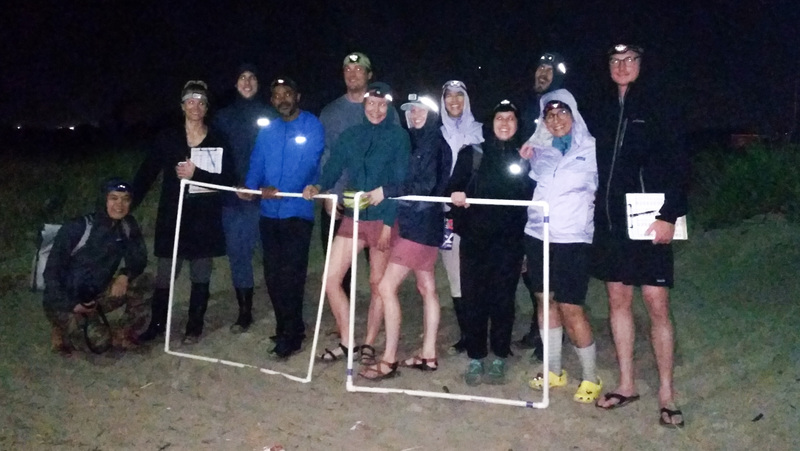 In addition to all of these horseshoe crabs that are returning to the same beach night after night and year after year, we also saw 10 tagged crabs that were put out by other organizations. So far, we know that one was tagged last year in Cliffwood Beach, NJ and another was tagged in 2012 at Breezy Beach in the Rockaways. It will be interesting to eventually find out where and when the others were tagged. 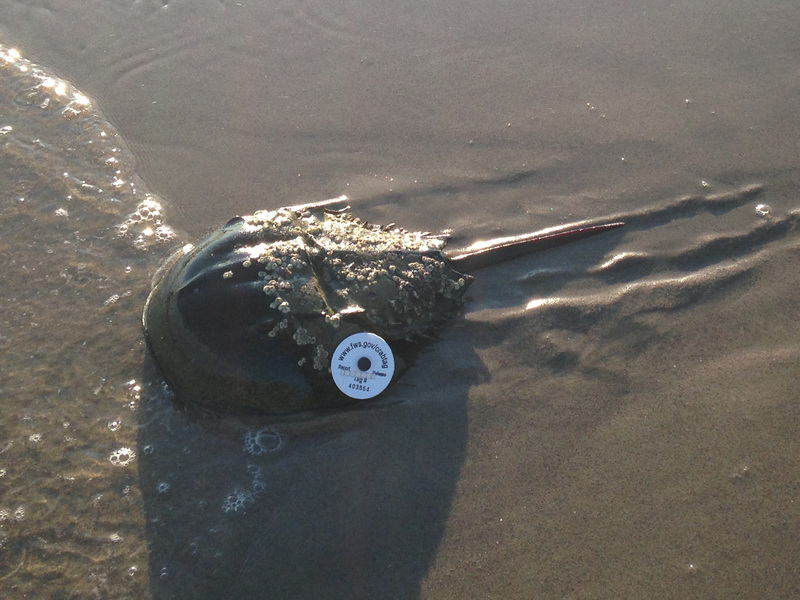 If you ever spot a tagged horseshoe crab, write down the number and report where and when you found it to the U.S. Fish & Wildlife Service here. Thank you to all the amazing volunteers who came out to count with us this year, especially our dedicated volunteer site coordinators, who make it all possible! We’re also very thankful to Patagonia, the Williams Companies, and Investors Bank Foundation for their generous support of this year’s horseshoe crab and shorebird work. We’re already excited for next year’s spawning season! We hope to have another record number of volunteers for next year’s counts. Please email volunteer@nycaudubon.org if you are interested in getting involved in this important (and fun!) citizen science study. 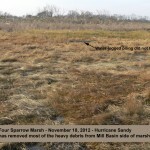 Amid all the destruction and havoc caused by Hurricane Sandy last October, there is potentially good news for the federally threatened piping plover and other shorebirds that area beaches. 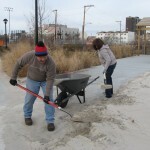 The National Park Service (NPS) has found a nearly twofold increase in suitable shorebird nesting habitat at NPS’s Rockaway Beaches since Sandy impacted the area. 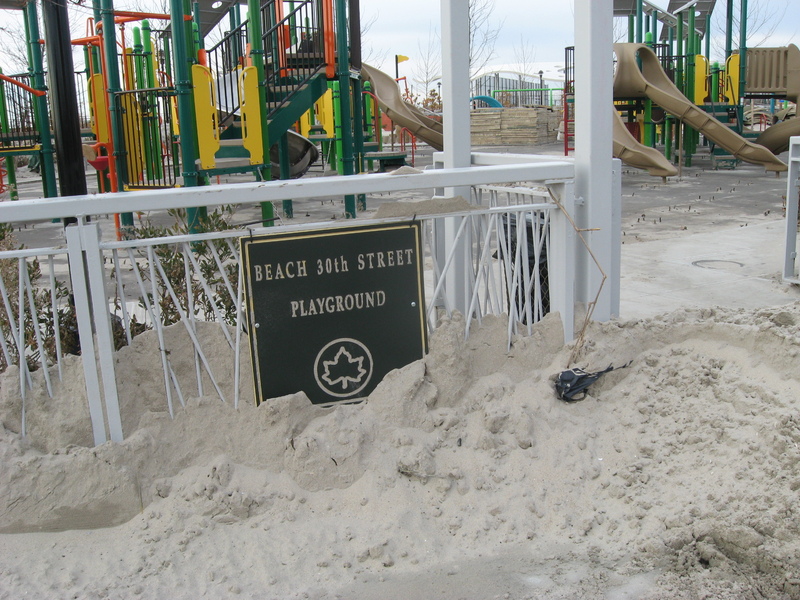 On that October night, Sandy wiped out and pushed back beach grass and other vegetation at the Rockaway beaches. The result: increased areas of dry, sandy beach habitat that shorebirds such as the piping plover need for productive nesting, according to NPS biologist Hanem Abouelezz. 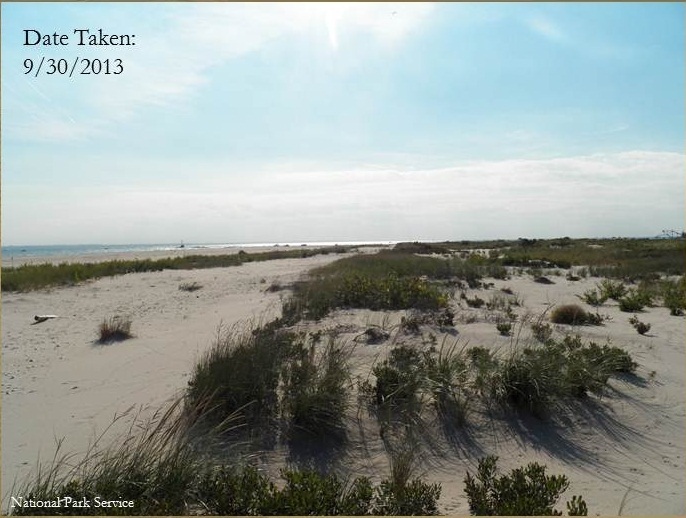 Looking at aerial satellite images of the area before and after the storm, Hanem found a 94.7% increase in potentially suitable shorebird nesting habitat within NPS-maintained beach areas such as Fort Tilden, Breezy Point, and Jacob Riis Park. 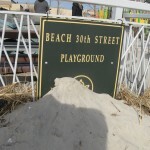 For years, intruding vegetation at Rockaway beaches forced piping plovers and other shorebirds to nest closer to the shore, leading to eggs being lost due to tidal flooding. 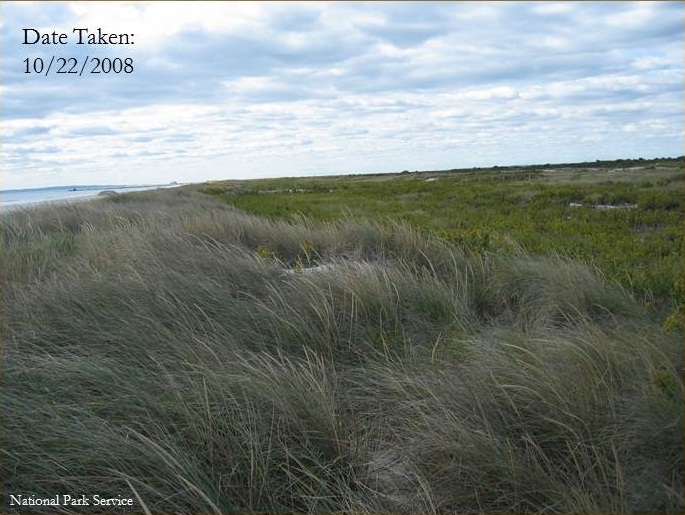 New data collected by Hanem and her team suggests piping plover nesting may already be benefitting from the post-Sandy habitat changes. 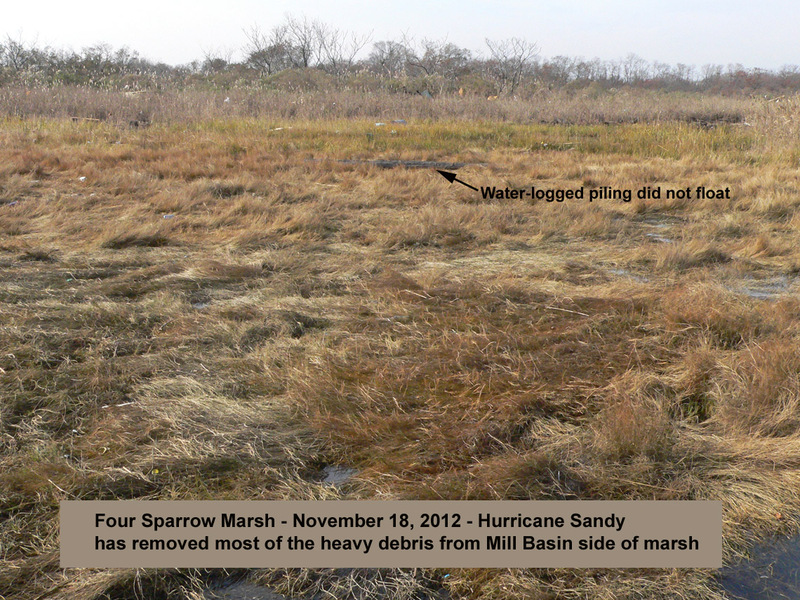 Whereas last year 54% of piping plover eggs monitored were lost due to tidal flooding, this year none were lost. 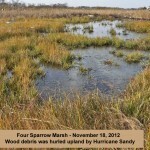 The bird is even finding success nesting in formerly inhospitable areas. 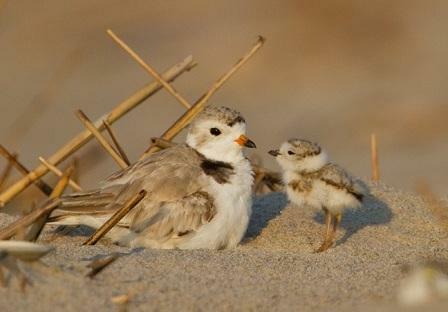 Piping plovers successful fledged at Fort Tilden this year for the first time since NPS started monitoring the area. In addition to aiding the piping plover, post-Sandy habitat could also benefit nesting populations of least terns, common terns, American oystercatchers, and other shorebirds that similarly prefer flat, sandy beaches for nesting. However exciting the news is, it is too early to tell whether the change in habitat alone will lead to increased shorebird breeding productivity in the area. 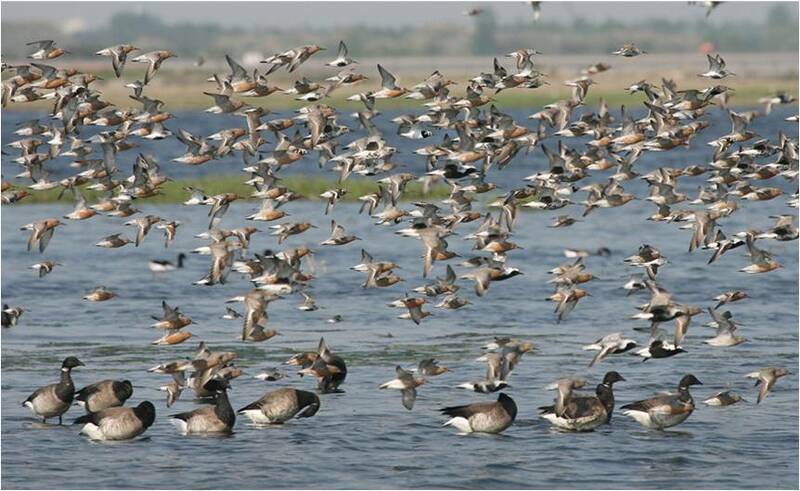 A variety of factors are involved in shorebird breeding success, including predation, interspecific competition, weather patterns, and human interference. Summer intern Darren Klein reports. 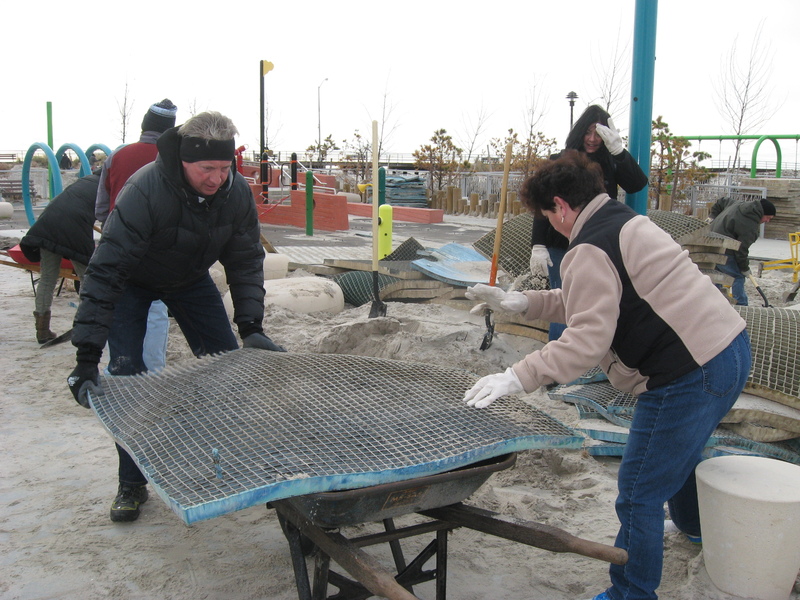 In 2007, Mayor Bloomberg released PlaNYC, a broad initiative intended to strengthen the economy of New York City, address climate change, prepare for increasing population size, and generally enhance quality of life for New Yorkers. 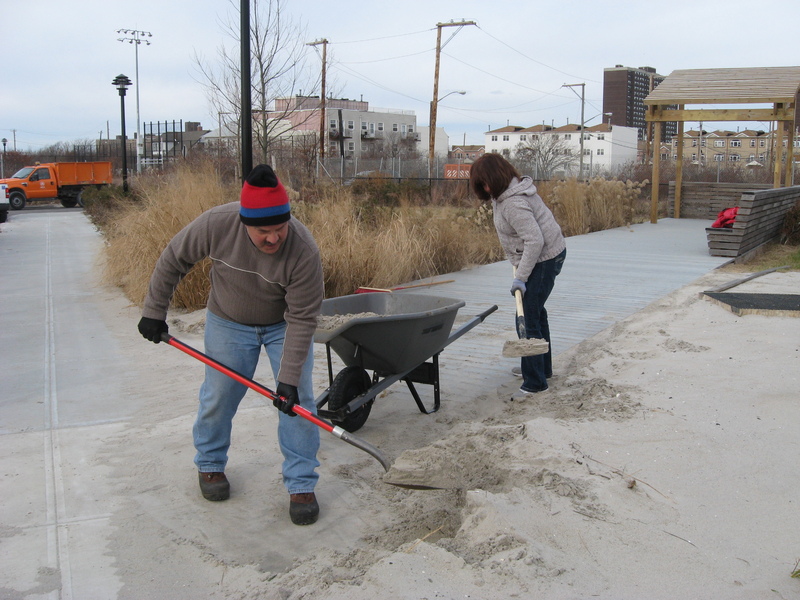 After Hurricane Sandy battered the City last year, PlaNYC was updated to include an outline for improving the resilience of the City as it faces a future in which powerful storms and other extreme weather events are likely to occur with greater frequency. 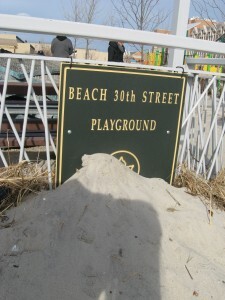 A major component of the latest version of PlaNYC is called the Comprehensive Coastal Protection Plan, which has been designed to strengthen the coastline of the City and prevent the kind of storm surge and flood damage that crippled the City after Sandy. 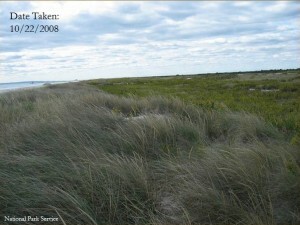 The Comprehensive Coastal Protection Plan calls for the combined use of “hard” and “natural” infrastructural elements. 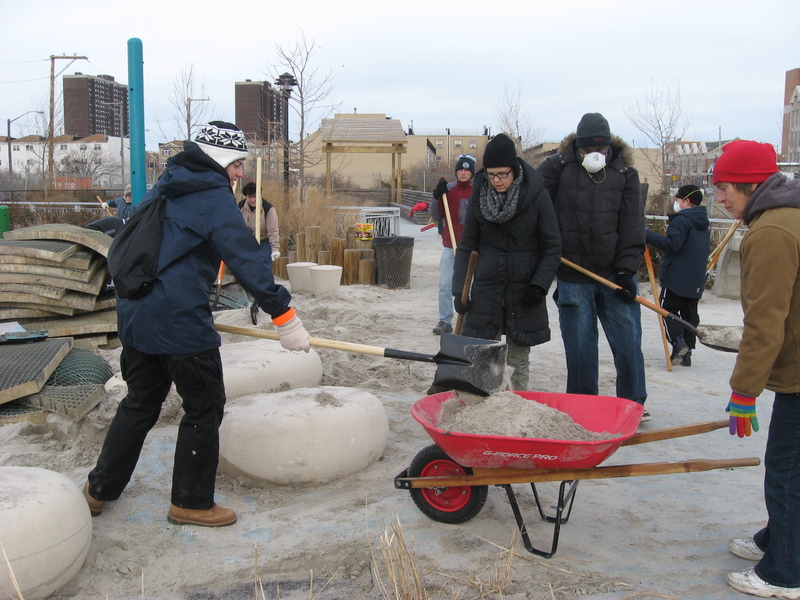 NYC Audubon is strongly supportive of the planned use of natural elements including wetlands, oyster reefs, living shorelines (a combination of reefs, maritime forests, and tidal wetlands), sand dunes, and beach nourishment. 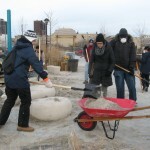 In addition to making effective contributions to wave and floodwater attenuation and to shoreline stability, the use of these elements will also provide valuable ecosystem services and create new habitat for the birds and other wildlife of New York City. There are situations, however, where the use of “hard” elements such as sea walls, tide gates, groins, and offshore breakwaters may be more appropriate than natural solutions. 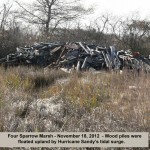 It is the view of NYC Audubon that these tools should only be used in coastal areas that are already highly developed. 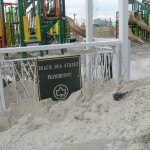 In less-developed areas, hardened elements contribute to the more rapid erosion of sand; as waves strike these relatively smooth, hard surfaces, their energy is reflected back out to sea, pulling sand away from the shore. This can lead to the destabilization of coastal areas, and puts inland areas at greater risk from storm surge and flooding. The Comprehensive Coastal Protection Plan states that solutions will be tailored to match existing patterns of geomorphology and land use, and so it seems that the inappropriate application of hard infrastructure is unlikely. In the coming weeks, NYC Audubon, in collaboration with Audubon New York, will be sending a statement to Mayor Bloomberg, thanking him and expressing support for the incorporation of natural infrastructure in this vision for the future of New York City. You can read more about PlaNYC here. 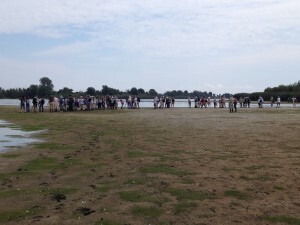 Shorebirds were the order of the day on Saturday August 25th as over 100 shorebird enthusiasts came together at the Jamaica Bay Wildlife Refuge for the seventh annual Jamaica Bay Shorebird Festival. 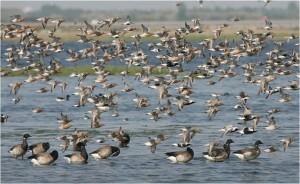 Thousands of shorebirds visit New York City’s largest wetland during fall migration to rest and refuel and large numbers take advantage of the refuge’s East Pond, which provides good foraging habitat on its abundant mud flats. Festival participants heard presentations from several shorebird experts but the highlights of the day were walks around the pond and excellent views of a number of shorebird species, including black-bellied plover, semi-palmated sandpiper, stilt sandpiper, greater and lesser yellowlegs, ruddy turnstone, dunlin, short-billed dowitcher and American avocet (perhaps the find of the day!). 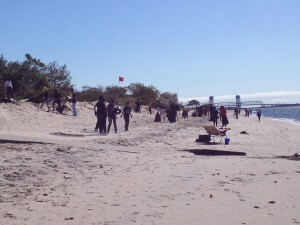 Jamaica Bay is an incredible oasis that sustains wildlife and humans alike; all New Yorkers should celebrate, enjoy, and protect it. 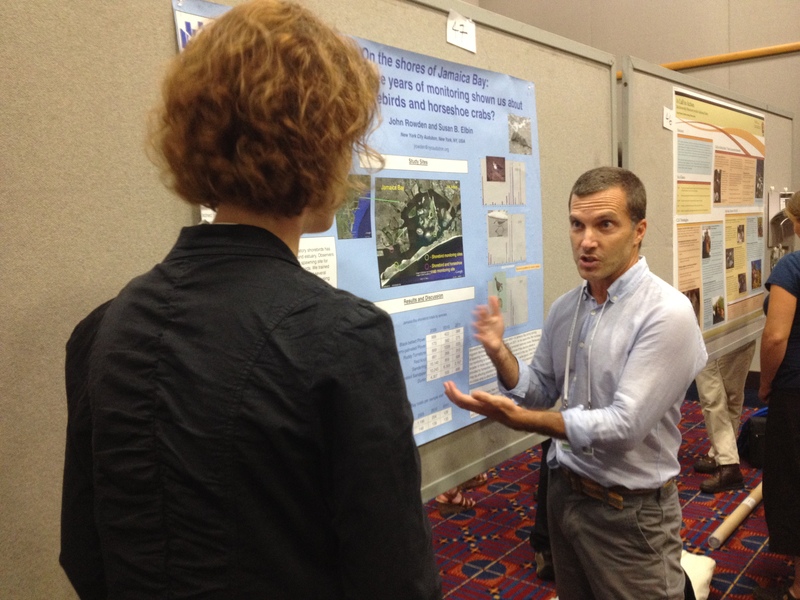 For the past two days, I’ve been participating in the Public Participation in Scientific Research (PPSR) Conference in Portland, Oregon. 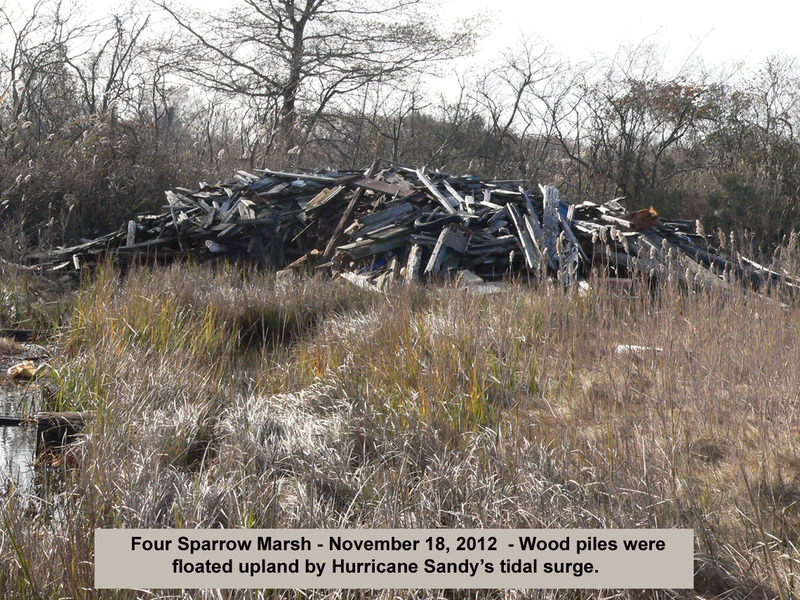 PPSR is another name for Citizen Science, which is one of my areas of responsibility for NYC Audubon. The conference has been really stimulating, with about 300 practitioners from all over the country convening to share ideas, create synergies and plan for the future. 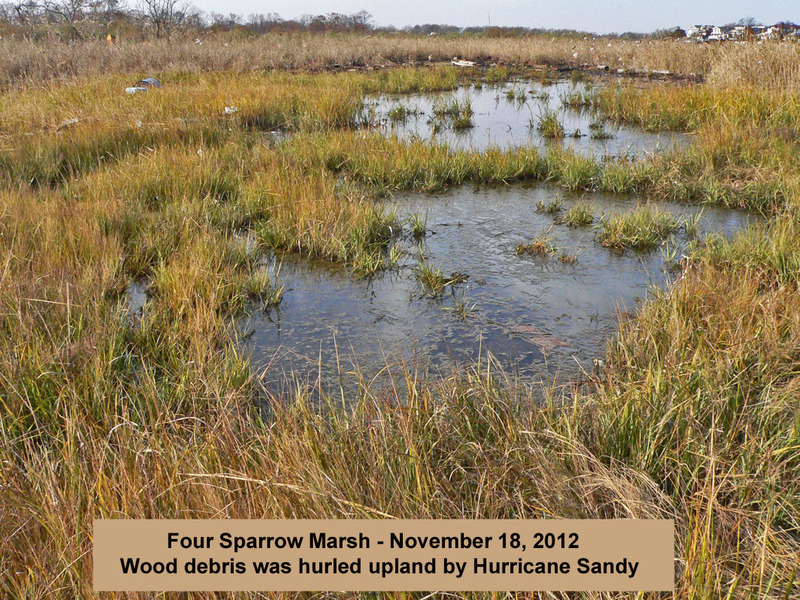 NYC Audubon has a very strong Citizen Science program and I presented a poster on our monitoring work in Jamaica Bay. This conference has given me new ideas about how to create stronger partnerships and include more people in our work, to ultimately improve how we learn about and protect birds in New York City.